In 1953, the Adenauer administration created the Federal Ministry for Family Affairs (renamed the Ministry for Family and Youth Affairs in 1957) in order to show the importance it attached to family policy. Adenauer appointed Franz-Josef Wuermeling, a conservative Catholic lawyer, as the first minister. 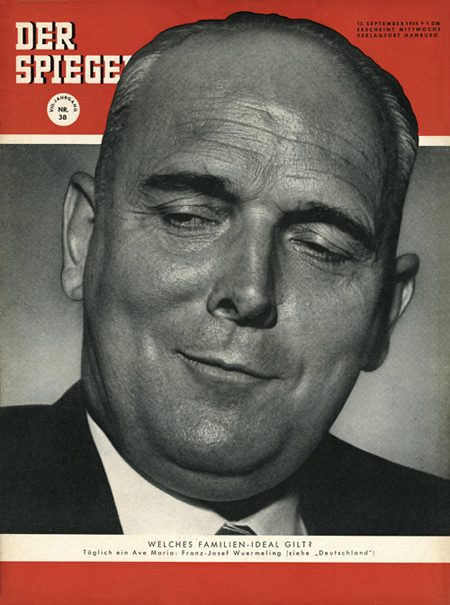 Although the Ministry for Family Affairs had limited authority and was only supposed to play a coordinating role in the legislative process, Wuermeling had a major influence on the West German debate on family policy during his tenure as minister (1953-1962). He promoted the ideal of a middle-class family in which the father was the breadwinner and the wife took care of the children.